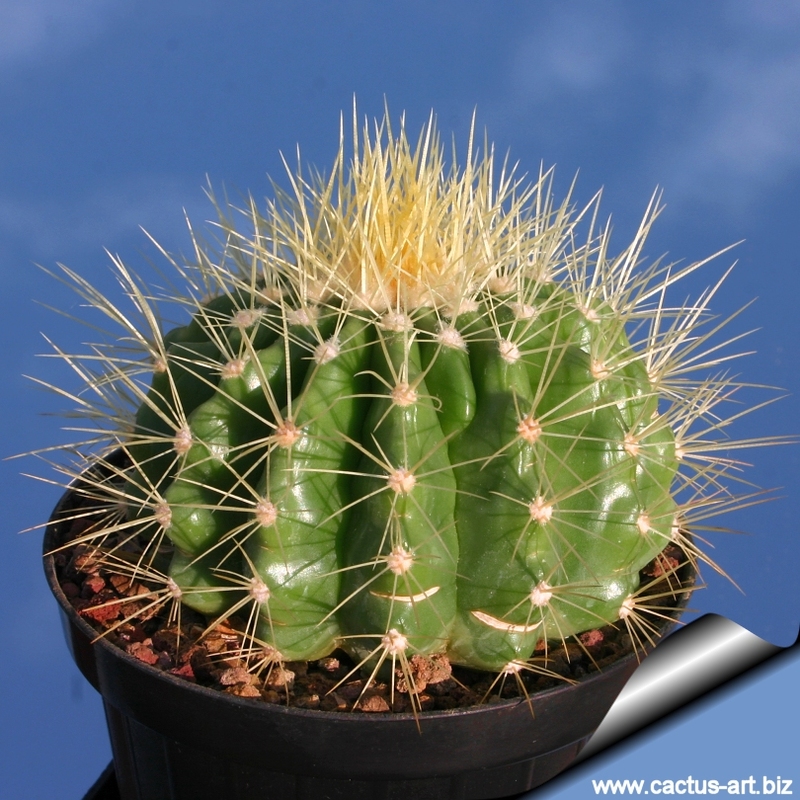 This cultivar has very thin acicular spines, that become longer as the plant ages. 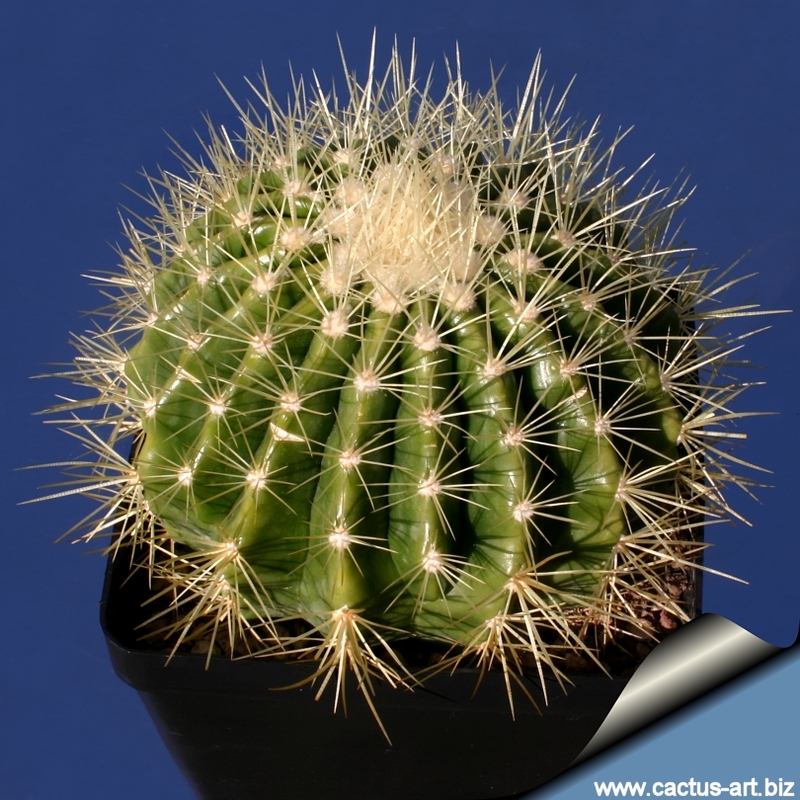 Older specimens are really spectacular. 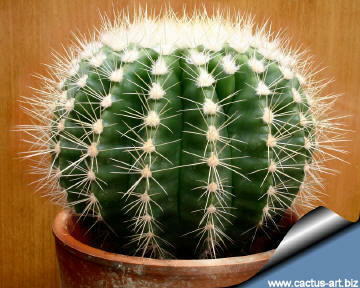 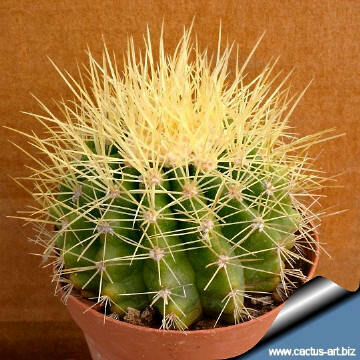 Description: This plant differs from the common Golden barrel cactus (Echinocactus grusonii) only for the fine spination. 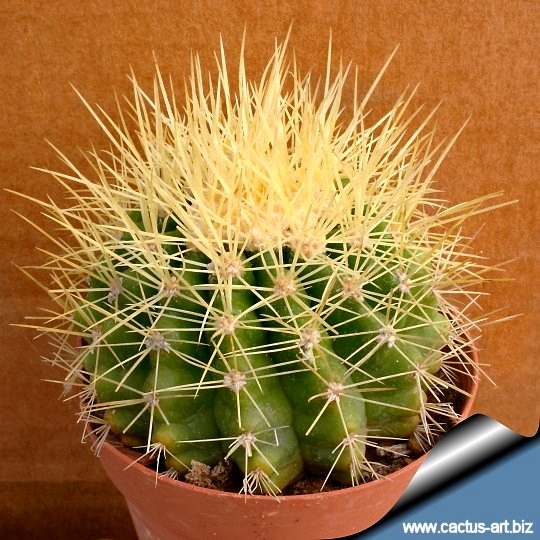 Spines are yellowish-white, very thin acicular, that become longer as the plant ages, 2 to 7 cm long. 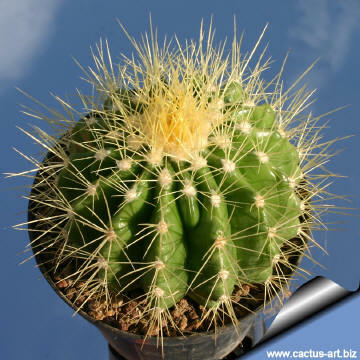 Except for the spines it is identical in shape and size to the standard species. It has a single slowly growing globe-shaped stem that became elongated (barrel-shaped) in maturity, up to 90cm in height and spread. This stem is pale green and heavily ribbed with numerous areoles sprouting radial, yellow spines. 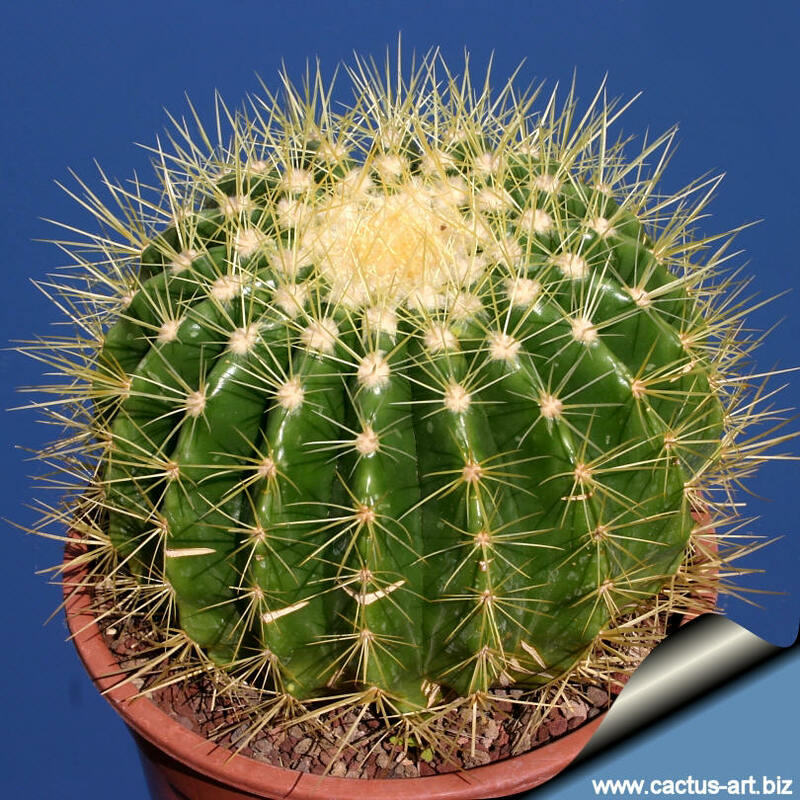 They normally offset with advanced age and a few multiples occur even at small sizes. 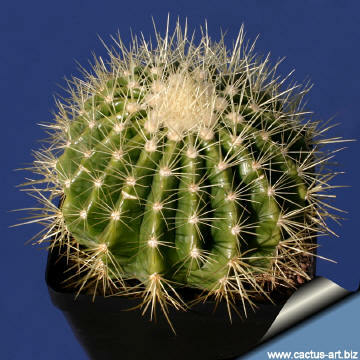 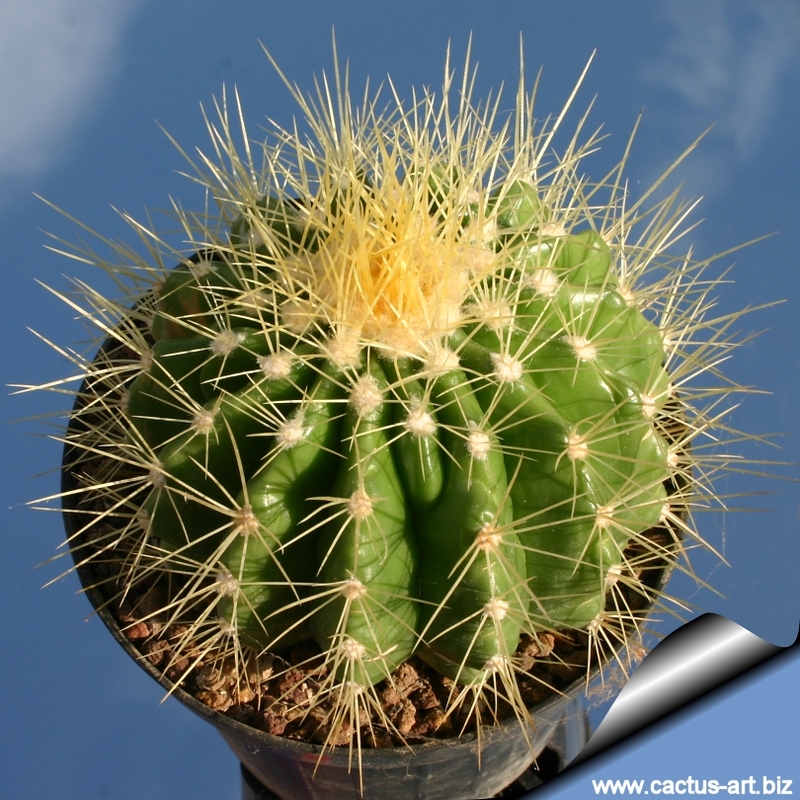 This plant differs from the common Golden barrel cactus (Echinocactus grusonii) for the fine spination. 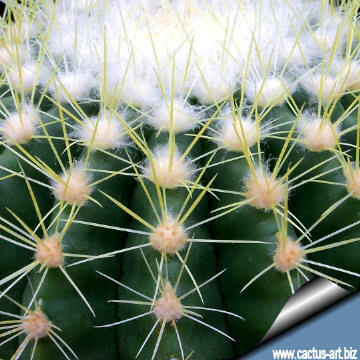 Spines are yellowish-white, very thin, needle-like and become longer as the plant ages, 2 to 7 cm long.